If you’ve been reading “View in the Dark”for a while, you have no doubt deduced that I am a huge fan of Washington’s Arena Stage, and have been so since the late 1950’s. Back then it was called the Old Vat, and a prescient teacher escorted our drama class to see a show there, in what I vaguely remember as a somewhat seedy neighborhood. When their new building opened, I was in college, and I’ve hung around the place often enough to know that a truly bad production there is rare. 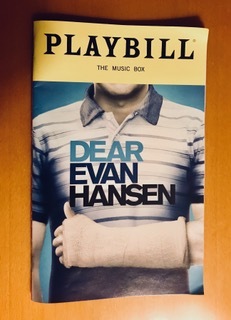 I confess that my faith in the Arena was tested when I saw the first notice that Dear Evan Hansen would join their 2015 season: It was variously described to me as a brand new untried musical, a romance comedy, featuring teen angst and suicide, and based loosely on the vague memory of an incident in the early life of one of the authors. “Not for me,” sez I. In the current climate, I’ve had it with angst. And teen suicide is now a soaring epidemic, the second leading cause of death in children and teens in the country. “To trivialize it in a musical ‘comedy’ goes well beyond the pale,” sez I. And after all, the title does sound little soapy, doesn’t it? Well I can tell you now, that in my long history of picking which plays to see and which plays to pass on, I have NEVER been so WRONG! In the past three years, Dear Evan Hansen has gone to New York off-Broadway, where it was quickly pushed on to a Broadway production, with no end in sight. For the off-Broadway production it was nominated for a phenomenal eighteen Obies and other awards, and won twelve. Now there is a big national tour in the works. Suffice to say, it was universally loved by critics and audiences alike, quickly returning a profit for its investors. I was not going to go up against the world’s opinion with my petty prejudices. So I enthusiastically bought a ticket (at nearly twice the price I would have paid at the Arena when it was being discovered. This is NOT a play about suicide. It’s a love story, and it’s a play about growing up, and families; and how we communicate (or not); and anxiety over what we’re afraid of; and how we see ourselves in a society and in the world at large; and how we set goals, and how we keep secrets. BIG themes, wrapped up in an original beautifully told story that left me feeling not angst, but hope. Here’s the gist of it: Evan is a chronically shy introverted teen, afraid of almost everything, and lacking self-esteem. His counselor has assigned him to write something positive in the form of complimentary letters to himself. When he takes the disk to school to print it out, it is snatched by Connor, an unhappy school bully and loner. That night, Connor commits suicide, leaving his parents and sister bereft, and no note. Instead, they find Evan’s letter on Connor’s computer screen, and come by to thank Evan for being a best friend to their son that they never knew he had. Evan is forced to play along with it for their sake, and quickly earns school-wide popularity as a Connor’s best friend, before he died. It gives Evan his first taste of a new prestige among his schoolmates, as well as the task of continuing the lie in order to redeem Connor in the eyes of his parents. In all this drama, you’d be hard pressed to find a real villain. Connor himself, who committed the original theft, is the obvious first choice, until he returns in Evan’s mind and we learn more about why he is who he is. Others come under suspicion, including his mother, Connor’s parents, pseudo-friends from school, and Connor’s little sister, Zoe, on whom Evan has a mad crush. Everyone in the cast on the other side of the “window” is guilty of indifference, meanness, and flagrant misunderstanding, and at the same time everybody in the cast is understandable, sympathetic and motivated by kindness. It’s the best kind of dramatic conflict. By the time I eventually saw the play in May, Taylor Trensch had taken on the role of Evan, and I can’t believe that his performance was any less moving than Platt’s. Trensch, a recent veteran of both Hello Dolly, and The Curious Incident of the Dog in the Night-Time, is a master of the genuine in looks, style and substance. The variety in style of lyrics and music remain both meaningful and beautiful. It’s not easy music, requiring instant mid-syllable changes in range and pitch that explore a range of sub-surface emotional intensity, digging out our own inner connections to the characters onstage. Lyricists Benj Pasek and Justin Paul have set a high standard for themselves, in a new territory, joining their La La Land, and The Greatest Showman. One other thing, though: No one character or song, even from Evan, threatens to turn the show into a star turn. The entire ensemble reeks with talent, all working in common for the spirit of the play to explore a wide range of the human need for visibility, identity, and purpose. And along with Evan and his two families, we too gradually grow in confidence, more aware and more accepting of all our challenges, our foibles, our half-truths, and the enormity of whatever lies ahead. And there you have it: the ultimate function of fine theatre. It’s not my job here to sell tickets. But bottom line here, folks: If you’re going to be in New York, or in any of the over fifty U.S. cities in which the tour will land in the next two years, forget the competition, and get yourselves into this little gem. You won’t regret it. I plan to see it again as soon as I can, with my wife and granddaughter (her first trip to New York). Coming up next: Tom Stoppard’s Travesties. Enough is enough! Sitting around the house waiting to be “healed” is not going to cure my various ailments, and like the rest of you, I ain’t going to get any younger! It had been well over a year since my last theatre binge, so finally, in early May, I ran away from home again, this time for only three nights, and went to play in New York City. This time, I took fewer guesses, determined to see the best. Guided by the critics, grabbing discounts where I could, and avoiding the top shows with five hundred plus dollar tickets. I’m still eager to see the Hamiltons, etc., but they will have to wait for the prices to come down (should I live long enough). Still, I pulled out all the stops: I squeezed in five plays that I’d rank among the best of my theatre-bingeing years: Dear Evan Hanson; Travesties, Come from Away, The Band’s Visit, and Mlimi’s Tale. More on them coming up in the next few days, so stay tuned. Meanwhile, if you haven’t yet, please subscribe to http://www.viewinthedark.com , spread the word, and feel free to respond to any blog entry. the more the better. It’s easy: Every difference of opinion makes for a lively and welcome discussion. And of course I would deeply appreciate it if you could rank the entry with a simple “like.” (… if you did). As most of you know, New York is my primary playground and a huge source for energy renewal. My game is to take in as much theatre as I can while spending as few nights in a hotel as possible. I’ve been playing it for fifty some years. Laughing and crying and fuming in the presence of good plays has become a major source of my own spirituality and understanding of our human condition and contradictions, of who I am and the way the world is, of how to get around the blockades, solve the problems, and cope with failure and success. Friends planning trips to the big city took to asking me what to see. And since I desperately needed a way to keep track of all those plays and how they affected me, since 2010, I’ve been writing/blogging about it all in http://www.viewinthedark.com (not to be confused by the Agent Carter TV episode “A View in the Dark.”). Feel free to check out the one without the “A”, and take a look in the archives for 122 past posts. Joan wisely chooses not to come with me on my binge trips. Our New York visits together involve much saner scheduling: two or three plays at most in four or five nights, with plenty of time for sit-down meals, book stores, galleries, museums, naps, and walks in the park or on the High Line — all perfectly delightful activities which I tend to shun for lack of time on my solo excursions. with the Empire State Building? This time I arrived in New York on a cloudy Friday afternoon on Amtrak’s northbound Northeast Regional. As we approached the city and crossed the Jersey flats before turning for the tunnel into Manhattan, one look out the right window set the theme for this trip: Time is a trickster. “Normally” that impressive view of the city’s towers takes one’s breath away, but something was wrong: The “new” Freedom Tower downtown sparkled as a ray of sun poked thru the clouds, a dramatic and impressive sight. But wait: Looking uptown, where was the Empire State Building? Still there, but now dwarfed by two hi-rise luxury apartment complexes under construction on the Weehawken, NJ waterfront. They are not as tall of course, but because they were so much closer to Amtrak’s path they appeared to hover over the Empire State like parents over a small child. Suddenly, that magnificent defining view of the cityscape is gone forever. And “New York” was sadly less real, more a passing phase. In one stroke, words like “new” and “normally” became meaningless. So off I went into some kind of existential funk, made worse on the streets of Manhattan itself. Cranes are everywhere, sometimes two or more to a block, since it’s cheaper to go up than spread out. Even within the city, once iconic views of the Empire State Building have already been obliterated, despite the strong objections of responsible designers, historians, and city residents and tourists. My funk would quickly be doubled, when I soon learned that my movie home away from home for its entire existence had shut its doors forever. May it rest in peace! The Lincoln Plaza Cinemas was my stopping place between shows. Since 1981, I have always counted on its six screens to offer up classic, foreign, indie and other art house films that would never show up back home. Its audiences conducted great lobby discussions, occasionally verging on physical assault. We were all film buffs who cared deeply about what we were seeing and the insights we gained there. In its ideal location across from Lincoln Center, it was also the best place in the city to get out of the rain, the best possible way to kill a few spare hours between shows, and the best possible way to experience fine cinema. It also offered rapid bus connections to the theatre district and to my hotel. Damn it! It was a “permanent” fixture in my life. So much for “permanent”! Yet another candidate for etymological extinction! Bad news is supposed to hit in threes, so I was prepared for the capper when it came. I picked up the N.Y.Times to read that NBC had cancelled Rise, their new show about the process of mounting a highly controversial high school theatre production of Spring Awakening, a rock musical about teen self discovery, including sexual awakening, masturbation, teen pregnancy, homosexuality, suicide, etc. Rise was one of a crop of challenging new NBC series like Parenthood and This is Us, dealing with more realistic portrayals of human nature, and the complications of adolescence in particular. If we’ve learned little else in the last months, it’s to pay attention to our offspring. Ironically, during the shooting at Marjory Stoneman Douglas High, in Parkland, FL, 65 drama students and their teacher/director, Melody Herzfeld hid silently in their classroom, where they had been preparing a production of Spring Awakening. A fifteen-year veteran drama teacher, Ms. Herzfeld was hailed as a hero, and this Sunday night, she will be awarded a Tony Award for excellence in theatre education. Many of her students, including Cameron Kasky and Emma Gonzalez, were among the active founders of the “Never Again” movement, of whom she may be justifiably proud. I was a high school drama teacher for a substantial part of my career, which of course is why I now allow myself to get further sidetracked. So please bear with me. In addition to dealing with administrations, parents, and adolescent angst, I spent a great deal of time with the American Alliance for Theatre in Education and its predecessors, pushing nationally for more and better theatre programs in our schools. As reiterated by Tony and Theater Wing sponsors, “(Theater) is transformative — it has the power to celebrate the best of times, and it has the power to help heal us and comfort us in the worst of times.” For that reason, in the past several years the Tonys have begun to include an Outstanding Drama Teacher of the Year in their ceremony and acknowledgements. … Probably not! Next best thing? Read the book on which Rise was based: Michael Sokolove’s Drama High: The Incredible True Story of a Brilliant Teacher, a Struggling Town, and the Magic of Theater. Now out in paperback, it’s the dramatic true story of Lou Volpe, who for forty years taught drama at Harry S. Truman High School in Levittown, Pennsylvania. You might also want to read his online interview in Playbill or an extensive New York Times article about him, to understand how his drama program and his first school production of Spring Awakening changed lives, changed the school, and changed the town. Yes, this was a long digression, an especially personal rant not necessarily typical of my entries on View in the Dark. My three-part funk continued until I took my Friday night seat at the Music Box Theater to see Dear Evan Hanson. In a flashall the funks were gone, consumed by the magic onstage. That’s next up. Give me a day or two. Those of you who are longtime subscribers to http://www.viewinthedark.com know by now that I don’t generally follow the rules of good blogging. If I expect to garner many more readers, I’m supposed to make entries at least weekly. But damn it, life has a way of getting in the way. So, dear readers, a big thank you for your patience. More on that later, but first I want to talk about School of Rock, the Musical. At least half the young people I know went to see the 2003 hit movie starring Jack Black and a host of kids. I did not. I am not a fan of rock music. Of course there was a time when I bumped and swayed like everybody else, and was impressed enough to sing along with the late Chuck Berry and his descendants. But it was a relatively mild fascination, and far from the passionate obsession my friends were exhibiting. I realize that saying that out loud could get me thrown out of town, and I may have just alienated half my readership, but there you have it. I’m supposed to be honest in these pages. Friends have been telling me for years, “What? You haven’t seen School of Rock yet? Get off your high horse and go rent it! You’ll love it!” I never got around to it. School of Rock, the Musical, has been running for over a year, and I’d never been particularly tempted, always choosing the “meatier” (and quieter) fare instead. But now, I figured maybe in my friends’ eyes I could get away with seeing the Broadway musical instead of the movie. And after all, I’m the Broadway type, and I love to see talented kids on stage. So in December, finally in the mood for some mindless escapism, armed with earplugs and spurred on by some attractive discount offers, I went! As predicted by everyone but me, I loved it! So much for my own prejudices and ignorance. It’s about a failed rock band member who masquerades as a substitute teacher at Horace Green Prep School, full of juvie rebels, brats and stuffy know-it-alls. Leave it to Dewey to scrounge up some band instruments and provide his 4th graders with a whole new means of expression. Despite the objections of the uptight parents and school administration , he turns the kids into a contest-winning rock-and-roll sensation! Surprise? All the rebels are vindicated, family life is restored, Dewey falls in love, and everybody goes home happy. So no, you can’t really expect a surprise here. This is the ultimate in predictble story drivel. …BUT it doesn’t really matter, and THAT is the surprise. I found much to love about the show, beginning with the extraordinarily high energy levels and sincerity of everyone involved as they pushed the story along. We’re getting serious now, in the midst of all that fun. Turns out, it’s not mindless at all, but instead makes a very cogent case for music education in our schools and communities. It offers the opportunity to develop communication skills, pride, identity, work ethic, commitment, passion, dedication and downright joy so essential to our growing up as whole human beings. As a longtime “arts” teacher myself – never mind that Dewey is a reasonably bodacious fool, I was quickly won over by his antics and passionate belief in the power of the arts to change lives for the better. I was substantially helped along in that regard by Andrew Lloyd Webber, who saw the movie, determined it had to become a Broadway Musical, and wrote 14 very catchy new songs for it. … And by Glenn Slater, who wrote the lyrics, and by Julian Fellowes, who wrote the book (having finally put his Downton Abbey to rest). I’ve heard that the primary focus of the film is on Dewey’s story. I don’t suppose you’re allowed to put Jack Black in a movie and then upstage him with a flock of adorable kids. The Dewey in my matinee performance, was played by Merritt David Janes, instead of the top-billed Eric Petersen. I’m pretty confident that both play the role equally well, but from my own experience, given Janes’ enormous energy expenditure, it would be hard to top him. In School of Rock, the Musical. There are no big names or stars on stage, where we are clearly more concerned with the outrageous talents of the youngsters as much or more than the teacher. They come in all sizes, shapes and colors, united in the sheer joy of playing this music. No matter which instrument or voice, you can be sure it is being played and sung live by the kids themselves. No sound dubbing or lip-syncing here. Sure I was grateful for my earplugs, but I can put up with whining electric guitars and wild drums, etc. when it comes from kids exploring their passion for creativity in a live, safe environment. Did I say “no superstars” in describing this cast? Let me amend that: No superstars … yet! Check out these examples on You Tube, just for starters, and they’re only a fraction of the December, 2016, New York contingent: Ruth Righi, (age 9), the Sullivan brothers, Jersey and Walden, and the absolutely phenomenal guitarist, Brandon Niederauer, who comes from some mysterious inner space … See what I mean? I predict these young folks are going places. In addition to practice, their academic work and sports, voice and dance training, etc., they put in a minimum of five high-energy performances a week. Mighty impressive! Many of them have already moved over to the London cast. I suspect there is pretty generous cast movement between the two. May they ALL stay as safe and wonderful as they are now, and may they see their dreams fulfilled. Not an easy task in America today. During the past year I’ve enjoyed two overnight hospital stays, my first since my tonsils were removed years ago. The shoulder and knee replacements were successful and relatively painless, but they were immobilizing enough to preclude major travels. When I was pretty much anchored in recovery mode at home, I was asked many times just why was I so eager to go back to New York. After all, I treasure this town and our quiet little neighborhood, shaded by real trees. My bride of 52 years and the three four-legged creatures that mean the most to us are here, and we enjoy all the advantages of a great university town. There are interesting people. There are 25 movie screens, and more coming this year … (and some of them actually bring in good movies). There are maybe a dozen producing theater companies doing good work within a short drive. There are fine restaurants, concerts, games, lectures, film studios, and even a whole slew of ukulele players. So the question remains: Why New York? The question has many answers. As an undergraduate, I was a one-hour bus ride from the city. I would occasionally leave after class on Tuesdays. I’d catch a standing-room show that night, spend the night in an all-night movie theatre showing second run triple-features for $1.00. Awakened and thrown out of the theater at 4:00 a.m. I showered at Grand Central, breakfasted at the Horn & Hardart automat, and hit another movie or two before the Wednesday matinee. I hit a third show that night before getting the late bus back to school. For a grand total of about $75, and a few skipped classes, I could manage three Broadway plays, and four or five pretty good movies … even if I slept through two of them (and flunked a course or two). Nonetheless, the pattern was set. Later, in my early twenties, I briefly lived in a tiny apartment on 72nd Street and 8th Avenue while working on a Masters degree at Columbia. These days I still rarely miss an opportunity to walk by the place, drawn by nostalgia, regret, and no small amount of self-anger. At the time, I didn’t have the funds, the time, the wits or the energy to take advantage of the readily available theatre scene I was living next door to. Times have changed … so much in fact that my New York theatre habit is now roughly equivalent to my compulsion for dark chocolate. Seeing seven excellent plays, mostly at discount prices, for only five nights in a New York City hotel room, is actually reasonably doable. The energy, sounds and smell of the place get my blood pumping. As any look back through my past seven years of play-blogging will attest, I’m certainly not opposed to Chicago, London, Shepherdstown WV, Niagara-on-the-Lake in Ontario, or any of the other theatrical magnets of the world, when I can get there. If New York and its noisy, vibrant, energetic theatre scene is no longer a viable lifestyle for me, it still prods me to temporarily abandon my smug acceptance of all things comfortable … to come out and look around at the world. It remains my #1 antidote to any dark waves of troubled powerlessness and considerable anger at the political scene. For years, it has been my #1 travel target. Back in 1969, I took the bus down to the city from Vermont for a long weekend primarily to see The Front Page, with Robert Ryan, Peggy Cass, Bert Convy and a whole lot of people I’d never heard of. I loved it. Written 40 years earlier, in 1928, by two ex-newspapermen, this felt like what we could call docudrama today: an authentic, gritty inside story on how a big city (Chicago) newsroom really operates in the face of a breaking story with potential violence – plenty of suspense and great dirty jokes. The recent production, starring John Goodman, John Slattery, Jefferson Mays, Robert Morse and Nathan Lane, was anything but. Yes, I did alter the order of the cast a bit just now, I believe deservedly so. Nathan Lane, who is a damn good actor and a superb comedian, was disappointingly out of place in this production. He doesn’t even enter until Act II. His insistence on doing his own comic schtick, typified by his routine of trying to move a heavy desk, was a distraction to the play as a whole. It was like we all were expected to take time out from the virtual world of the play to laugh at Nathan Lane; and the more we laughed, the longer it went on. I was surprised that director Jack O’Brian hadn’t fired him. Of course, you don’t “fire” Nathan Lane. He’d stay! … You’d go! Others in the cast were not so offensively . John Goodman, whom I’ve greatly admired since Oh Brother Where Art Thou? and Cable TV’s terrific Treme, was a stunner, as I knew he would be, if not like this: Standing 6’2″tall, svelte and lithe, he has whole new dimensions (pun intended) of acting ahead of him. Shortly after completing 10 Cloverfield Lane, he apparently got tired of looking at himself in the mirror, stopped eating “all the time,” got off sugar, began to exercise rigorously with a trainer, and quickly lost over 100 pounds (without losing an ounce of his talent). Equally outstanding were Slattery, late of Mad Men, and a barely recognizable Jefferson Mays (who has won recent Broadway kudos for both I Am My Own Wife and A Gentleman’s Guide to Love and Murder). And in a wonderful if tiny little role, there was another veteran of the Mad Men team, 85-year-old Robert Morse, having every bit as much fun as he had back in 1962, when I saw him play J. Pierrepont Finch in the Pulitzer Prize-winning musical, How to Succeed in Business without Really Trying. Enough about the people. How about the play? Obviously I was prepared to love it as much as I had back in 1969. I didn’t. And it wasn’t all Lane’s fault. In 2016, the play was badly dated, patently offensive to women, dismissive of its audience, trite, full of bad old inside jokes, and just plain corny as all get-out. It’s all been done much more convincingly, notably by TV’s The Newsroom. No one seemed too sure of just why they were remounting The Front Page, except as a vehicle for star power, which did after all work: Previews for the limited run began last year on September 20, and the play closed January 29, 2017, having packed ’em in. In that short amount of time, it apparently managed to pay back all its investors and then some. Guess that makes mine a distinct minority opinion. If you missed it, take heart: You just squirreled away about one sixth the price of a Hamilton ticket down the road. Five more of the seven plays I saw on December’s trip have also closed: Santasia, Falsettos, The Encounter, Dead Poets Society, and Love, Love, Love! It was an eclectic and entirely satisfactory mix, and coming up, I’ll be exploring them all. Up next though, I’ll talk about the one survivor of the seven, the loud and rowdy School of Rock. A Hearty WELCOME to a bunch of new readers, and my humble apologies to my regular followers for my long delay in entries. This next batch of blogs describing recent New York theatrical ventures has been a long time coming. Since September, I’ve been suffering through weeks of soothing and loving care at home in beautiful Charlottesville, Virginia. I was growing sufficiently recovered from both knee and shoulder replacements in the same year, and exhausted by the unavoidable political fear-mongering on TV and in conversation. Even compressing all five seasons of Breaking Bad into five weeks did little for me. Impatient with the patience around me, I was itching to get a renewal on life in the big city. So in early December, I finally made a run for it. I robbed the budget, deserted my faithful wife two favorite dogs and one cat, hopped the train directly from Charlottesville to Penn Station, and managed to squeeze in seven New York shows in five nights. It wasn’t a record, but it did the trick. However, before I get to them, I beg your patience for a small breach in tradition: a plug in favor of the home team in Charlottesville. There is an extraordinarily lively theatre scene here, for a university town of less than 50,000. Because I am one small part of it, I’ve chosen in the past to remain locally neutral. In my commentaries, I have not yet ever discussed regional productions, including some I’ve directed or in which I’ve acted. However, this one is a one-shot deal, and it promises to be so much fun I felt it was part of my responsibility to throw some audiences at it. I’ve not yet seen it , nor am I in any way connected to the project, a directorial effort by my friend Boomie Pedersen. Many moons ago, Boomie’s undergraduate degree came from the same source as my own (from many more moons ago). She is a highly respected, consummate theatre pro, and Artistic Director of the Hamner Theater in Nelson County, Virginia. She has never stopped learning her craft. The play is her own Adaptation of William Shakespeare’s Comedy of Errors, produced in partial fulfillment of the requirements for her MFA in Theatre Education, at Virginia Commonwealth University in Richmond. Both the production company and the ten-man cast are referenced above the title: GOMDS [Grumpy Old Men Doing Shakespeare). That’s my age range: Gotta see it! It opens this Friday, February 17, and closes on March 11. 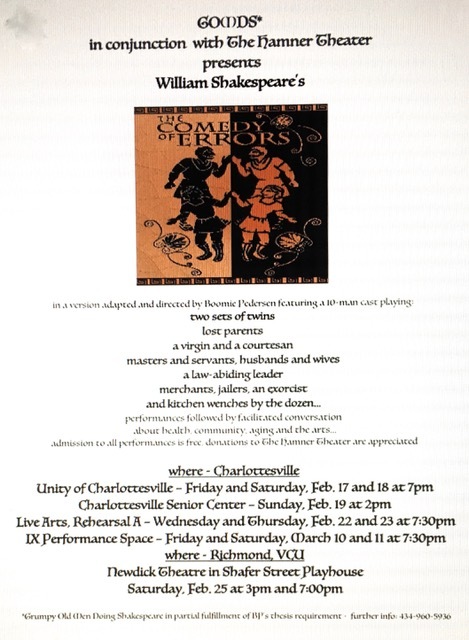 Altogether, there are eight performances in Charlottesville and Richmond. If you’re nearby and interested, take your pick! For details: (434) 960-5936. To be continued tomorrow! New York! I promise! Readers looking for specific responses to the recent Lincoln Center production of The King and I would do well to read my August 29 posting below. But I guess I’m not through with this play yet. And clearly, I’m not alone. It remains a worldwide phenomenon. I want to explore some history of the play, and how one musical came to be such a fascination for me and so many others, despite its being a rather dreary non-love story about two reasonably unlikable people. I confess that, ironically, my real opinion is that it’s too long, ends badly, and as a play is far from my favorite Rodgers and Hammerstein creation. Yet I continue to listen, sing, hum, and whistle my way through that magnificent music, and I will surely trundle up to Washington, misty-eyed and open-jawed once again, to see The King and I when it arrives on tour. This post is an exploration of how that could be so. I hope it will be a blend of historical perspective on the play itself, and a personal memoir and journal of whatever it is that attaches us at the hip like a chemical addiction. Just why is it that some experiences, both pleasant and not so pleasant, can take hold of us early in our personal evolution as human beings, and will not let us go – ever? 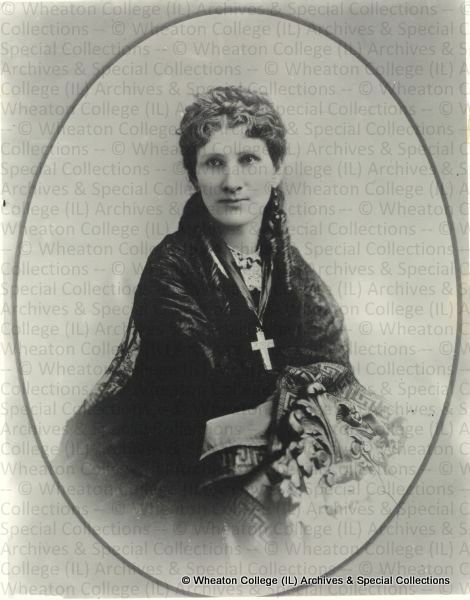 In 1862, Anna Leonowens, a recently widowed British school teacher, accepted a request to come to Siam to teach the 39 wives and 82 children of King Mongkut. She brought with her her then six-year-old son Louis. During their almost six years in Bangkok, Anna kept copious notes and later produced two memoirs describing her experiences there and her various skirmishes with the king. Many of them, unchanged, remain an integral part of the script for The King and I, including the conflicted nature of a king eager to preserve his own power and traditions, and equally as eager to bring his country into the modern age of science and western civilization. In 1944, Margaret Landon, an American writer, wrote Anna and the King of Siam, a successful novel based on the Leonowens memoirs. Two years later, director John Cromwell turned the novel into a movie with Irene Dunne and Rex Harrison (as you can see, complete with a beautifully groomed head of hair). And that’s where I suspect I first heard of the king of Siam, the first corner piece of the puzzle needed to solve my mysterious attachment to The King and I. I don’t remember it of course (I was seven at the time). But little seeds grow big food! Turns out, my mom was a huge fan of Irene Dunne, a beautiful megastar actress-singer in the 30’s-40’s. I remember once being with Mom at an airport, when Irene emerged and quickly climbed into the back of a limo. Mom instantly morphed into a teenage movie fanatic and charged over to ask if she could take her picture. The response? “It would be a far better photograph, Dear, if you took the cap off your camera lens,” as she rolled up the window. After that, I’m quite sure that Irene Dunne and Anna and the King were frequent topics of conversation in my household in the late 40’s. It turns out that Rodgers and Hammerstein were familiar with the book, but were not interested in turning the story into a musical until they saw the movie. 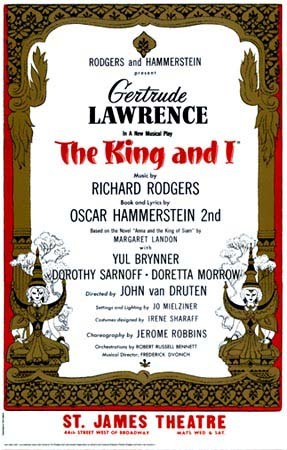 From the start, The King and I was essentially created as a star vehicle for the veteran British singer, Gertrude Lawrence, hugely popular in her day, if legendary for being difficult to work with. By then, her vocal skills had already begun to fade, and Rodgers’ simple but beautiful tunes were composed to accommodate her reduced range. Nonetheless, when The King and I opened on Broadway on March 29, 1951, she would become the instant talk of the town and a Tony winner for her comeback role as Anna. Sadly, her success was short-lived. It was not an easy role for a 52-year-old woman: Eight times a week she carried around 75 pounds of costume as she danced her way through an arduous 3¾ -hour performance, later trimmed to just under 3 hours. On August 16, 1952, she collapsed backstage after a matinee performance, and died on September 6, of a previously undetected cancer of the liver and abdomen. 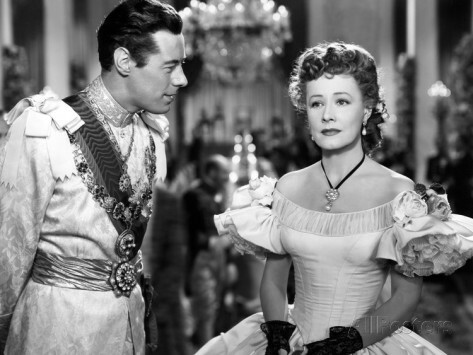 Rodgers and Hammerstein had wanted the movie’s Rex Harrison to play the king, but he wasn’t available. So when young folk singer and TV Director Yul Brynner showed up to audition, bald and glowering, he got the part. His name was not even on the marquis under Lawrence’s when the show opened. But by the time it closed, a record-setting three years later, Brynner was the star. And he had missed very few of its 1,265 performances. In addition to his other work on stage and screen, for the next thirty-three years he would go on to play the role he had originated. I believe I finally saw the show with my folks at the National Theatre in Washington in late 1954, with Brynner still toughing it out on tour. Over thirty years later, in the spring of 1985, he was back on Broadway yet again. So of course, my wife and I took our own kids, ages 8 and 11, up to New York so they could experience the real thing. 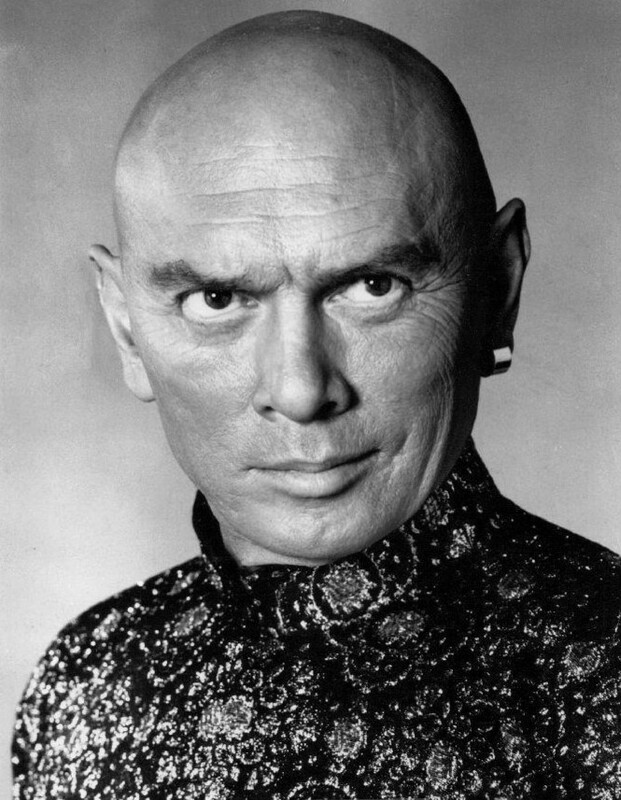 Later that year, on June 30, Yul Brynner gave his 4,625th and final performance as the King of Siam. On the tenth of October, he died of lung cancer, just as he had long expected to do. But back to 1951: I had missed out on all of the early excitement surrounding the opening of The King and I. I was out of the country, acquiring another subtle cog in the wheel of my fascination with the play and the story. As anyone who has spent any part of his or her childhood outside our American shores will tell you, perspectives change radically. Experience in a foreign land is an eye-opening life-changer. In 1950, my dad was an aviation expert with the Civil Aeronautics Administration (An early version of the FAA). As I understood it, he went on loan to the State Department for the purpose of supervising the conversion and delivery of our wartime transport planes to the budding Air France fleet. But what that meant for me was two years of living in Paris … where the local kids went to school in “dresses.” Well ok, not really. I was told they were actually very practical blue smocks, a traditional school “uniform,” designed to keep street clothes relatively clean. Furthermore, they all spoke French! Still, no way was I going t o wear a “dress” to school! And unable to speak a word of French, I flat out refused to go to a perfectly good neighborhood French school. Sadly, the spoiled brat in me won out. But unfortunately, some good parental research also ruled out the American school, whose reputation at the time was a bit unsavory. Consequentially, I had to agree to attend an English-speaking boarding school on the far side of the city. Bad choice on my part: It was an overcrowded school in the Dickensian tradition, replete with uncouth sanitary conditions, where classroom misbehavior resulted in bloody knuckles dealt by the rulers of irate red-headed Englishmen. And the playground was a war zone. Oh the things my parents never knew! The plus side was that the little “Denny International School” was populated by students with different eye shapes and skin colors, speaking strange languages, worshipping different Gods, talking of different cultures and traditions. There were French kids whose parents wanted them to learn English fast; there were war orphans; there were the sons and daughters of diplomats from all over the world. Some were wackos, others dedicated athletic or intellectual types –the full spectrum of pre-adolescent worldly humanity. Naturally, we quickly formed defensive gangs for the purpose of recess survival, without regard to any of the above features. My three very best friends, my most trustworthy allies, were John Maung, from Burma, Saïd Dehlavi from Pakistan, and Octavio Maloles, from the Philippines. I’ve often wondered what has happened to them as adults. One of these days, maybe I’ll try a search and …. By the time we came back home to the U.S. in the summer of 1952, I was a 12-year-old committed internationalist, with a keen interest in what went on in the rest of the world, and how it was different, and how we humans were still all the same. And I knew from my friends that Burma (which in 1989 became Myanmar) was next to the Kingdom of Siam, which had already become Thailand, and was also next to China, which was next to the newly formed dominion of Pakistan, and also next to Korea, where people, including Americans, were getting killed. And furthermore … I spoke fluent French! By then, the family owned the 33⅓ lp original cast album of The King and I, which I already had largely memorized. I still have it. After all, the story was set in Siam, now Thailand, which was next door to Burma, which … “etcetera, etcetera, etcetera.” That whole part of the globe belonged to my best friends. Just as Paris now belonged to me. 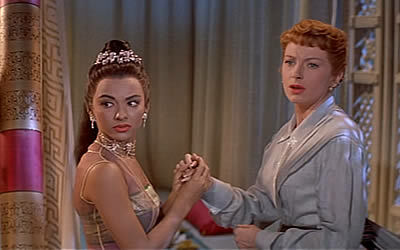 The movie of the musical came out in 1956, in Cinemascope even. It stars Yul Brynner and Deborah Kerr, and as we would all later find out, the unacknowledged, dubbed-in voice of the inimitable late Marni Nixon, one of Hollywood’s best kept secrets. If you look hard you might also recognize the talented and very young Rita Moreno, as Tuptim. The screenplay by Ernest Lehman and Hammerstein was now trimmed to 2¼ hours. A beautifully rendered 50th Anniversary CD of the film, minus the overture, remains available. You have to grit your teeth through the blatant racism and sexism, but the sets and costumes are glorious, and the music … Well, yes. The music! The King and I may not be as well known as other Rodgers & Hammerstein hits. It’s got a huge cast, expensive to produce; it’s a more exotic locale than most Americans were used to, and it has neither a classic love story nor a “lived-happily-ever-after” ending. The king dies in the end, which ironically is the only major plot difference from the real story, aside from omitting the brutal torture and punishment of the runaway slaves. 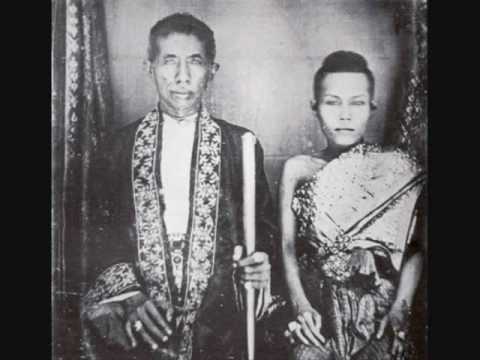 Historically, King Mongkut did not die until 1868, when Anna was back in England. He had been a dangerous autocrat, who bore little resemblance to the more or less likable buffoon customarily portrayed in The King and I, and he most certainly was neither a ”nice guy” nor a romantic. Nonetheless, despite all objections, The King and I retains an ongoing global fascination. It has spawned a radio show, a TV series, and at least four films. It has been translated into dozens of languages. Doubtlessly, there have been thousands of theatrical productions mounted in every corner of the world, with the exception of Thailand itself, whose government censors have regarded the whole story as a myth. On the other hand, yes it was. Last spring, after a long and mostly boring recovery from a January knee replacement, off I went on my customary biannual theatre binge in New York. I was eager to find plays that would be challenging, leave me excited, thinking, questioning. Picking from the discount listers, I deliberately chose The Crucible, The Effect, The Father, The Humans, Prodigal Son, and Blackbird (all discussed in previous posts below). And then, just for nostalgia’s sake, I added in The King and I. Turns out, all but two turned out to be Tony Award winners. (The exceptions were off-Broadway’s Prodigal Son, and The Effect, which should have had their turns at the Obies.) More importantly, all seven were challenging, perceptive, excellent theatre, just what I was in the mood for. And every one of them offered a personal attachment to me, whether a familiar moral or political argument, a reference point for the workings of my own aging mind, or a poignant memory of my own experiences in the classroom. But everyone wanted to know: What was my very favorite of the shows I’d managed to squeeze in? The answer, of all things: The King and I. Ironic, isn’t it? A safe old Rodgers and Hammerstein revival? Challenging, thinking, questioning, and beautiful? It closed at New York’s Lincoln Center on June 26, after 1¼ years and 538 performances. However, there is a planned national tour in the works. Audiences are not done with this one yet. So just for fun, I want to spend this and my next post chatting about it. Those of you who are my regular readers know by now that I make no claims and expend no effort towards objectivity. Quite simply, this is a show I have always loved, and would see repeatedly wherever I could find a decent production. This is Rodgers and Hammerstein at their very best, working together on something very new and different from their previous work. Without a “happily-ever-after” love story, it’s perhaps less often produced, less accessible and more exotic than their more familiar Oklahoma, South Pacific, and Sound of Music. But this is music I have listened repeatedly to all my life. This is music I used to sing, once on a camp stage, and in thousands of showers. I can recite lyrics even now, from Hello Young Lovers, Whistle a Happy Tune, Getting to Know You, Shall We Dance, A Puzzlement, and more. However, if I anticipated going to a favorite mushy, nostalgic old love story purely for escapist entertainment, a break from my other more thought-provoking plays of the week, I was mistaken. This was a brand new King and I, more like a “king-of-the-mountain’ competition than a love story. This was by far the most lush, sumptuous and extravagant of anything I’ve ever seen in traditional American Musical Theatre. A break-the-bank budget allowed for more than fifty actors, and gorgeous costumes and sets: huge, golden, cleverly designed and engineered miracles of stagecraft. From my fourth row bargain seat on the side of the Vivian Beaumont Theater, the prow of the ship bringing Anna Leonowens to Siam emerged from the wings to loom impressively over my head as it docked. Super director Bartlett Sher (six Tony nominations in the past ten years) and his team made an active choice to explore the enigmatic duality of human nature. Their focus on historical accuracy, interculturalism, sexism, feminism, and sexual slavery was carefully staged to challenge the audience’s own preconceptions, and to call undeniable attention to the certainty that human cruelty and shortsightedness remain our concern in today’s “civilized” multicultural world. It’s contemporary relevance is clear. Still, it is in no way “preachy.” It’s a complex beautifully told story about attempts to break down such barriers, some successful, others not. I like to think that no matter how magnificent the costumes and the sets, it’s the people we come to see, and Sher sought out the best for his reconsideration of this classic. He had worked many times with superstar Kelli O’Hara, notably eight years ago on the same stage, in his award-winning South Pacific. And he chose Japanese movie star Ken Watanabe (The Last Samurai) to play King Mongkut. Watanabe had been forced to leave the cast for emergency surgery and treatment for stomach cancer, but he was able to return to the role shortly before I saw the show. His performance was solid, and very effective, a self-contradictory man determined to retain control over a kingdom he badly wants to usher into modern civilization. O’Hara played a strong teacher, demanding of personal and professional respect, and yet at the same time charmed by the king and his eighty some children whom she was charged to educate. The music, of course, was as good as it gets. The choral numbers and choreography were beautifully sung and staged. Three of the songs were particularly convincing, and beautifully rendered completely in character: The King’s Number One Wife, Lady Thiang (Ruthie Ann Miles), sang “Something Wonderful” as if the music were an integral part of the natural Thai language, and her satirical “Western People Funny” turned some cartoonishly racist lyrics into a national anthem of oriental pride. And with the powerful operatic voices of the “young lovers” Tuptim and Lun Tha (Ashey Park and Conrad Ricamora), “We Kiss in a Shadow” and “I Have Dreamed” became convincingly passionate serenades, tinged with desperation and fear. The casting of the two stars was a publicist’s dream. Watanabe was far more dangerous a king than an adorable one, and his take created new extremes of tension between himself and Anna. Their “Shall We Dance” quickly shifted from fun to manic, leaving Anna with a “What-the-hell-have-I-done?” expression on her face, and adding a whole new context to the more traditional romantic waltz. Still, the king’s bravado was consistently undercut with an extraordinary vulnerability, especially in one of my favorite numbers, “Puzzlement,” in which he questions his own wisdom, power, and place in the world. And last but certainly not least, there was Kelli O’Hara, often deservedly dubbed the queen of Broadway musicals. I had seen her work in South Pacific and Light in the Piazza, and was suitably impressed with both her beautiful voice and her strong sense of character. She fully deserves all the kudos and awards she has earned. However, I must confess to disappointment in the space where her two talents meet up. I’m not sure whether it’s her choice or the director’s (Sher again in both productions), but there seems to be a less than subtle line of demarcation between when she occupies a role, and when she sings a song. It’s an operatic tradition for the soprano to step forward to sing an aria directly facing the audience. But what I have always loved about American musical theatre is that lyric and music flow smoothly out of dialogue and character, thus heightening the intent. To me, especially with today’s use of body mikes and sound control, dropping character and singing frontally to the audience seems a distraction from such a flow, as well as an indulgent bow to ego. I truly hope such practice is a throwback Sher/O’Hara quirk, and not a sign of a retro trend. It was my one and only objection to an otherwise near perfect production.